Today, April 17th only, head over to Amazon where you can save big on select boating and fishing essentials including items like fishing reels and poles, inflatable boats, tackle boxes and more. 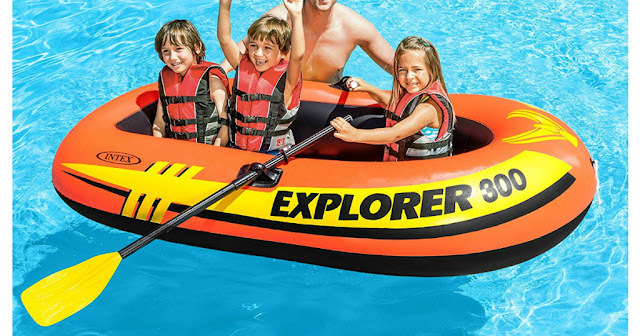 As an idea, you can score this Intex Explorer 300 3-Person Inflatable Boat w/ French Oars and High Output Air Pump for just $19.99 (Retail $34+). This boat has dual air chambers with double valves, a grab rope on the bow and welded oar locks.